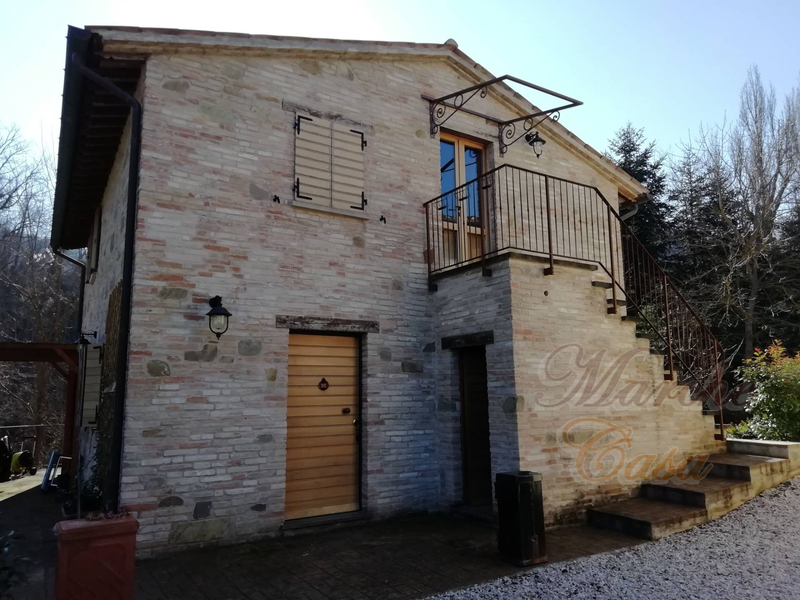 SALT WATER FARMHOUSE. 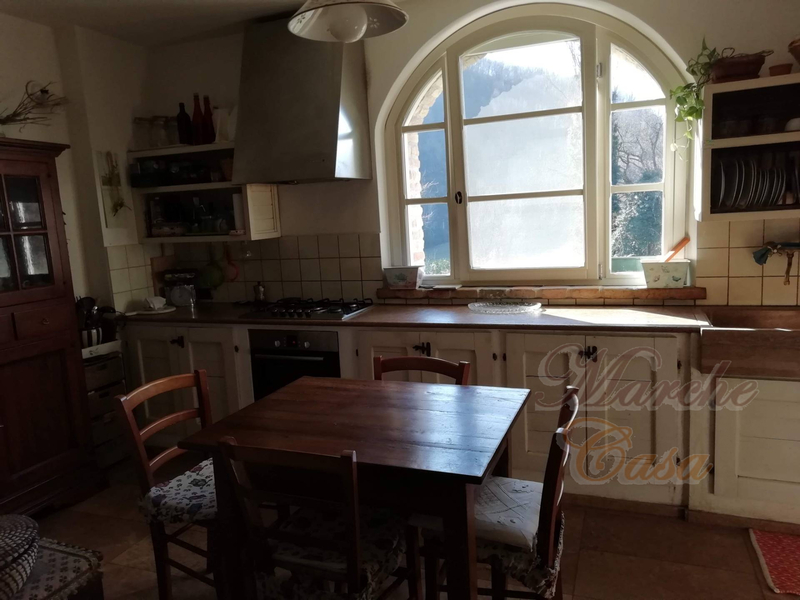 A stone's throw from Urbino, I propose for sale a truly unique property at a special price. 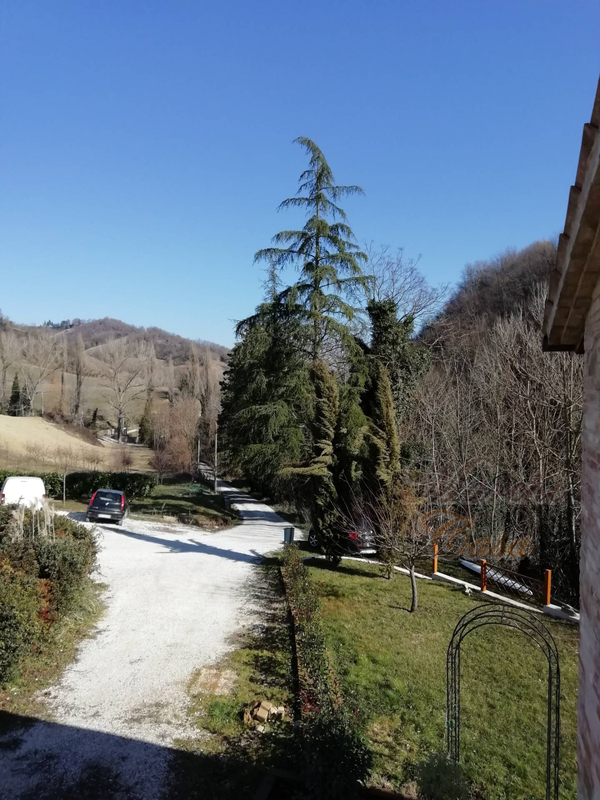 I don't think we need to tell you about the magnificence, the beauty, the history, the art, the food and wine specialties of the city of Urbino, cradle of the Renaissance and UNESCO site, one of the most famous cities in the world with a territory at the height of its fame. 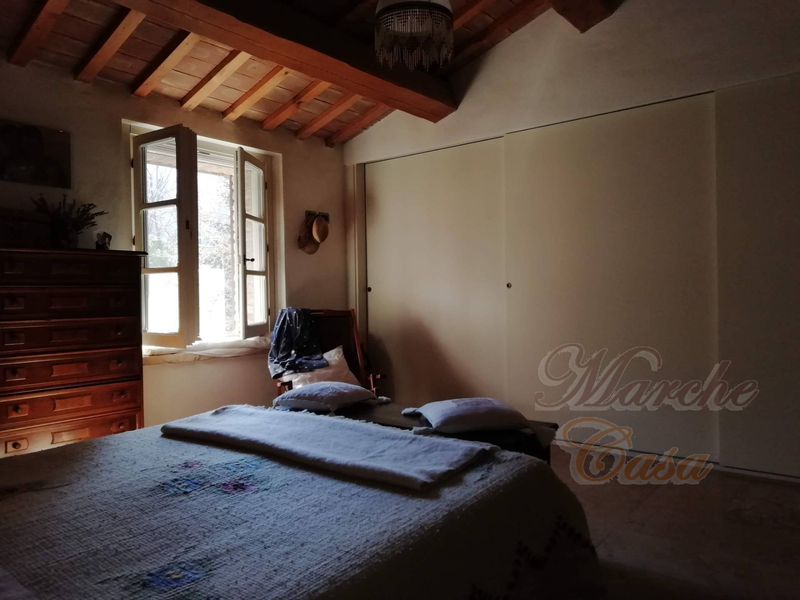 The farmhouse, which is nestled among the hills a few kilometers from the city, is really very interesting and versatile, measuring a total of 600 square meters, has an exclusive court 5000sqm and an adjoining land of almost 6 hectar, a beautiful, sunny, quiet place, away from prying eyes and immersed in nature, a true oasis of beauty that regenerates the soul. 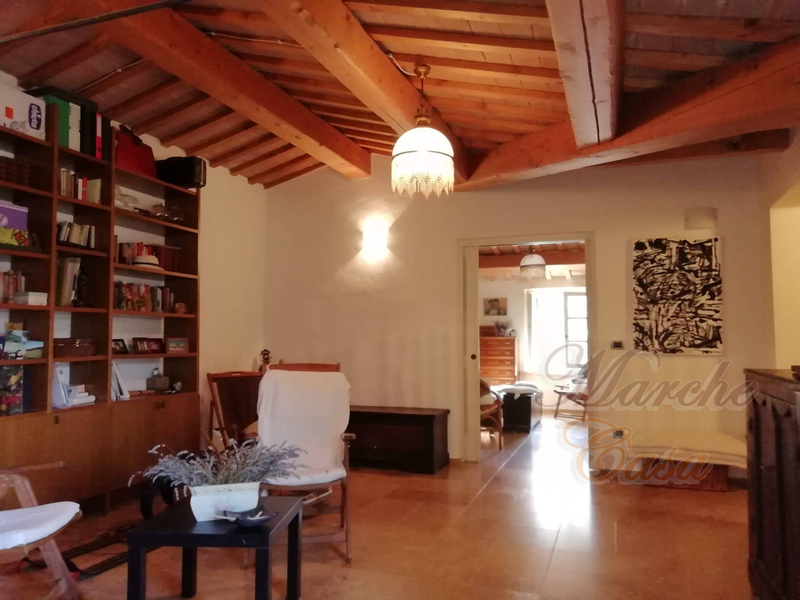 The property is extraordinarily interesting as it consists of 4 different houses. 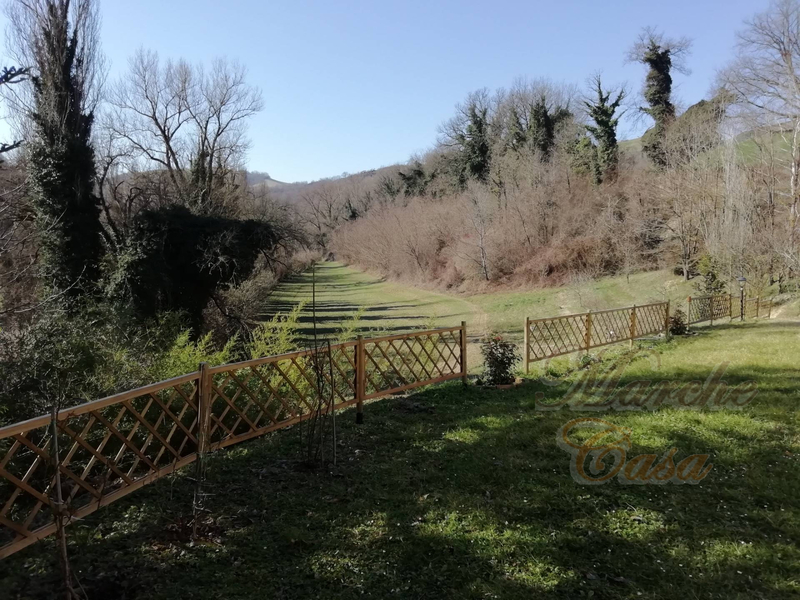 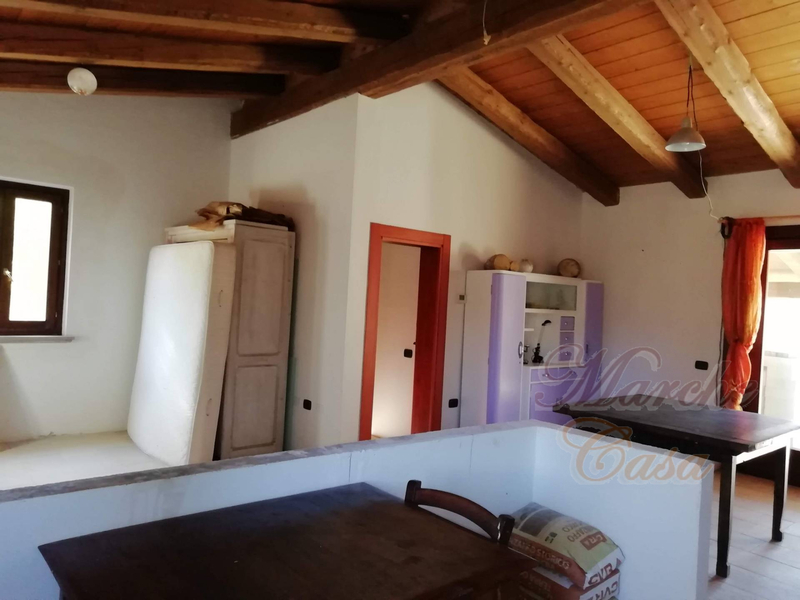 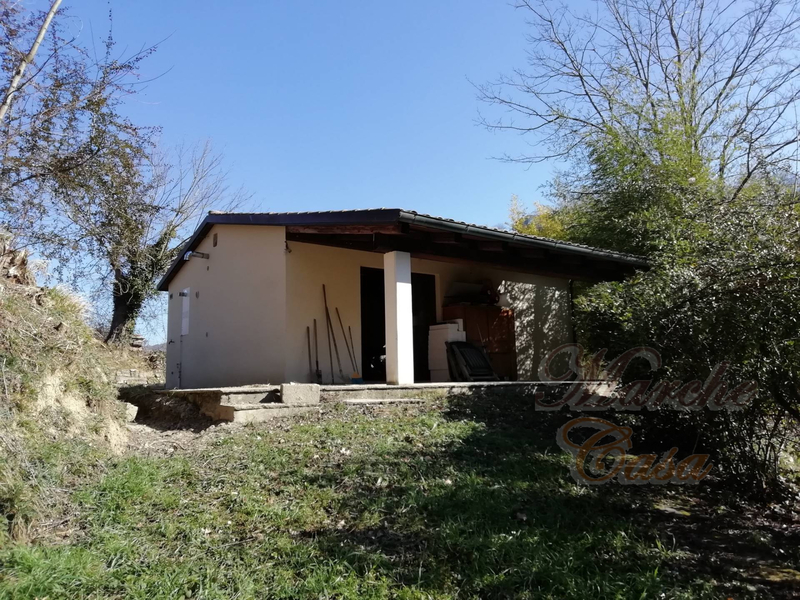 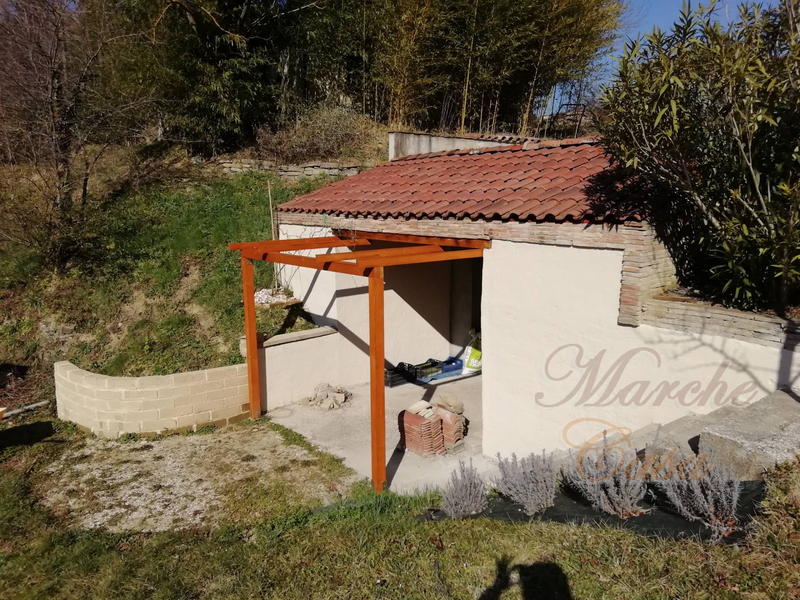 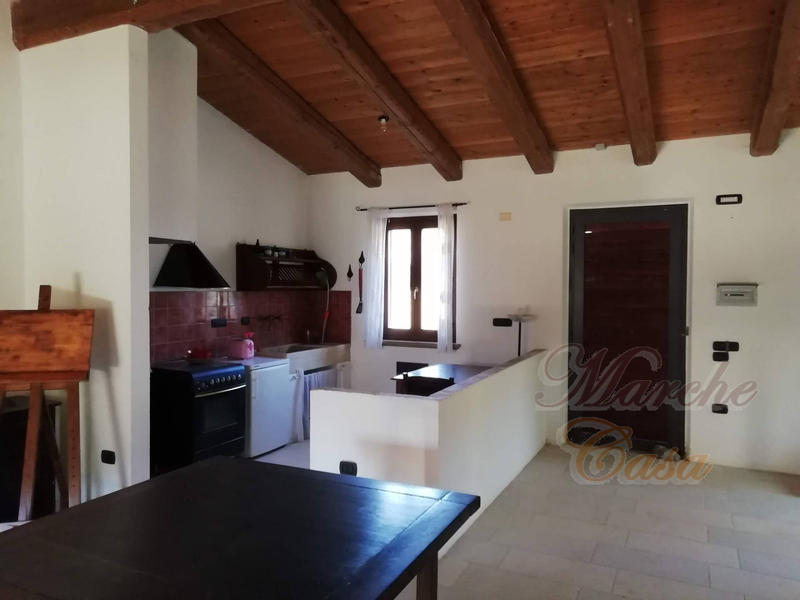 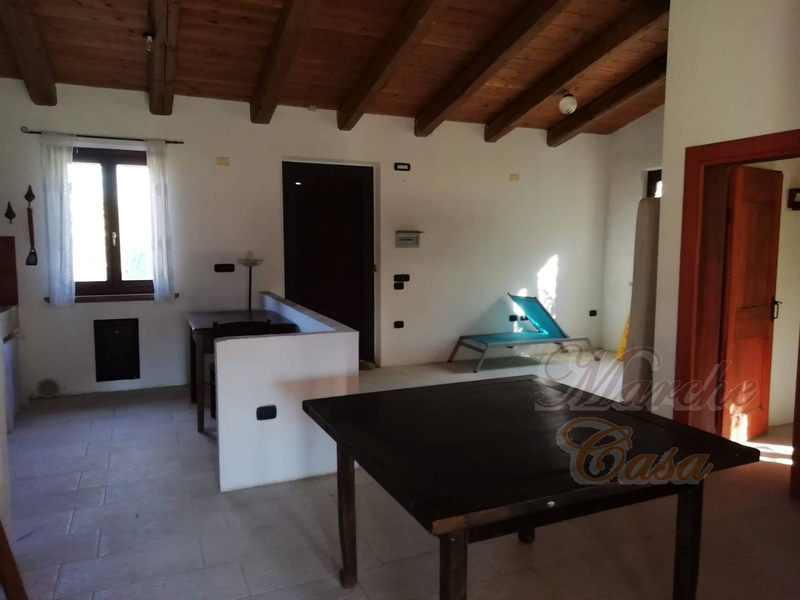 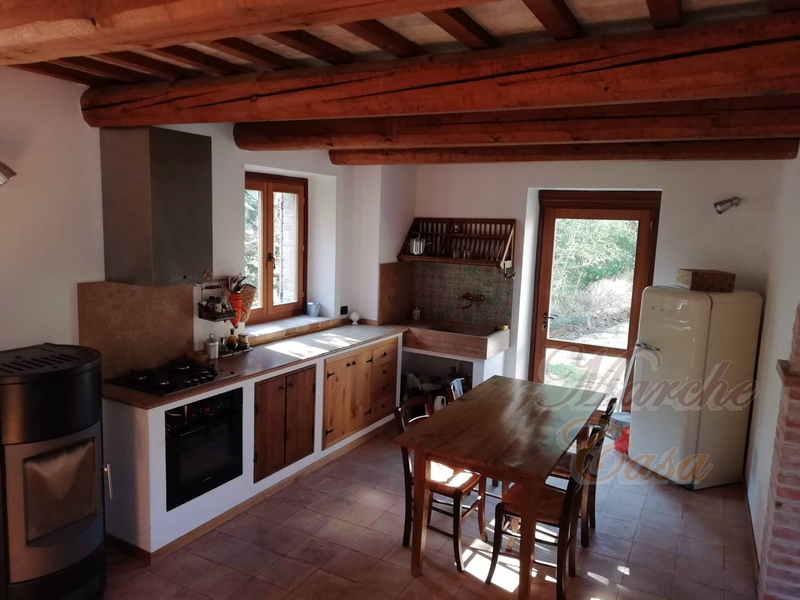 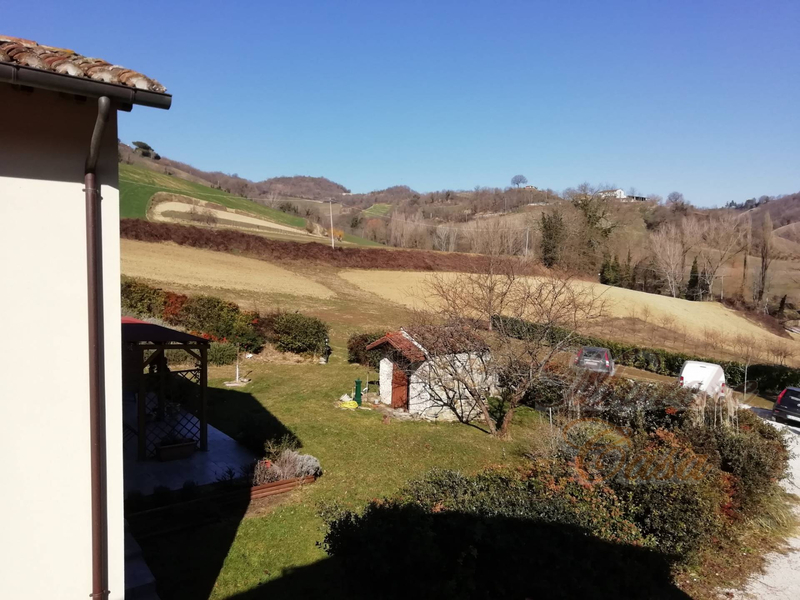 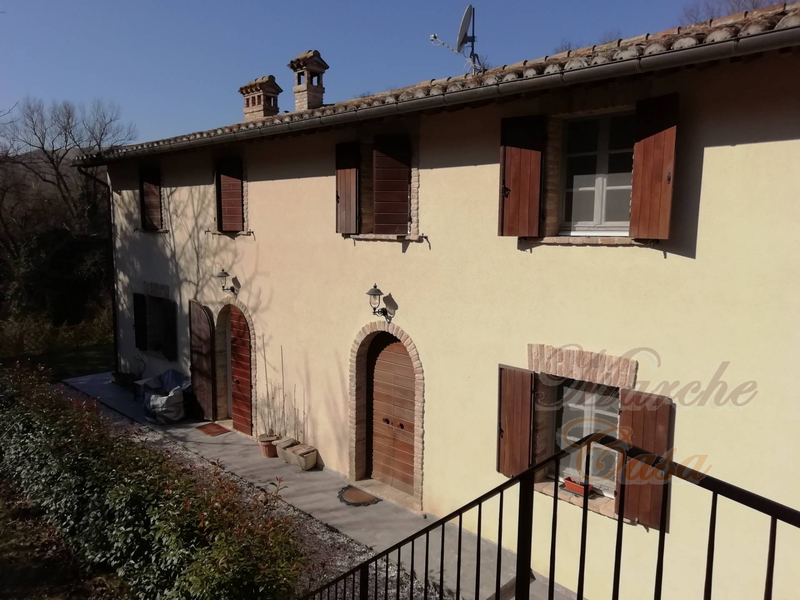 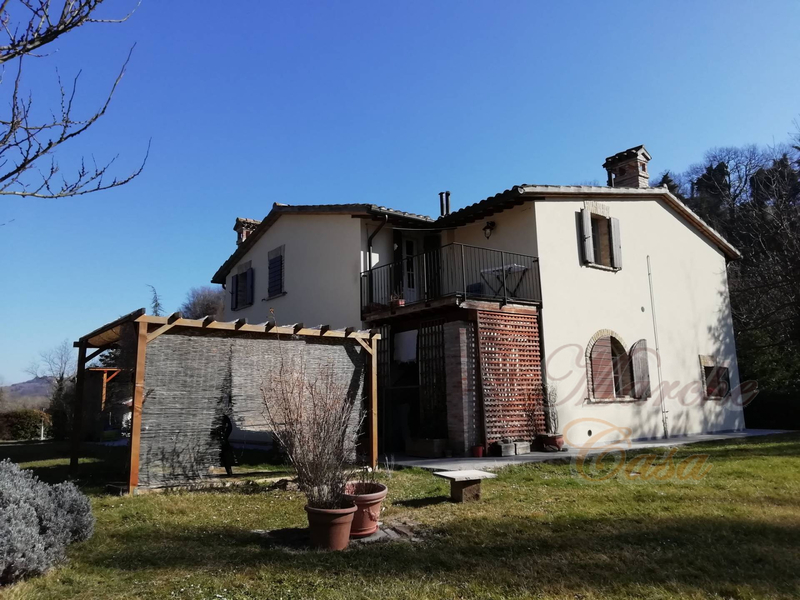 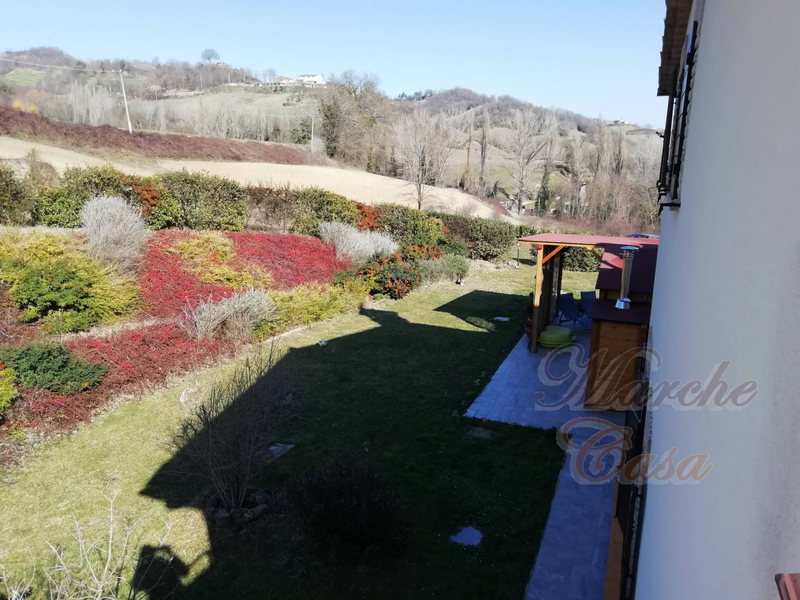 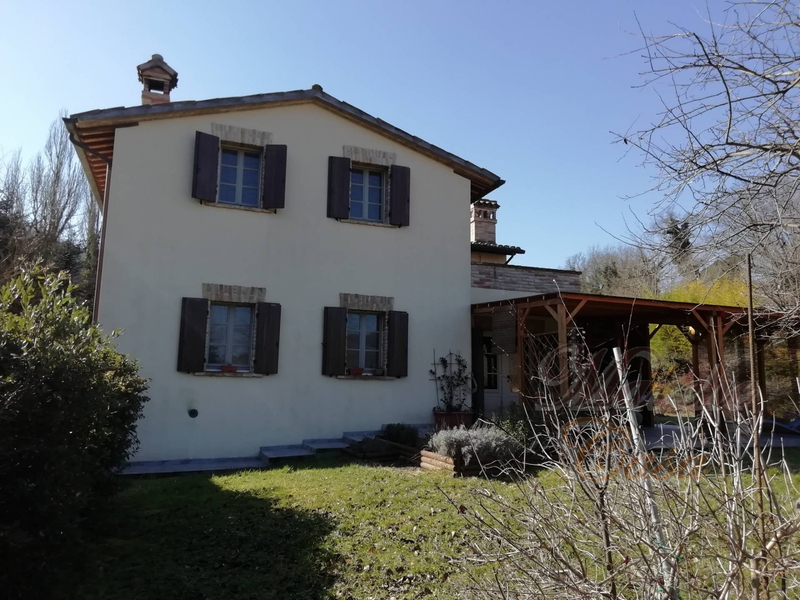 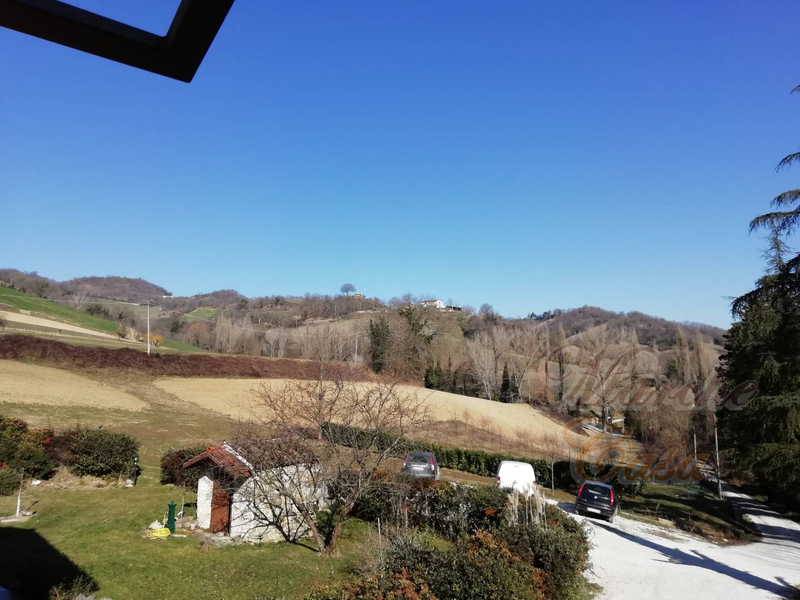 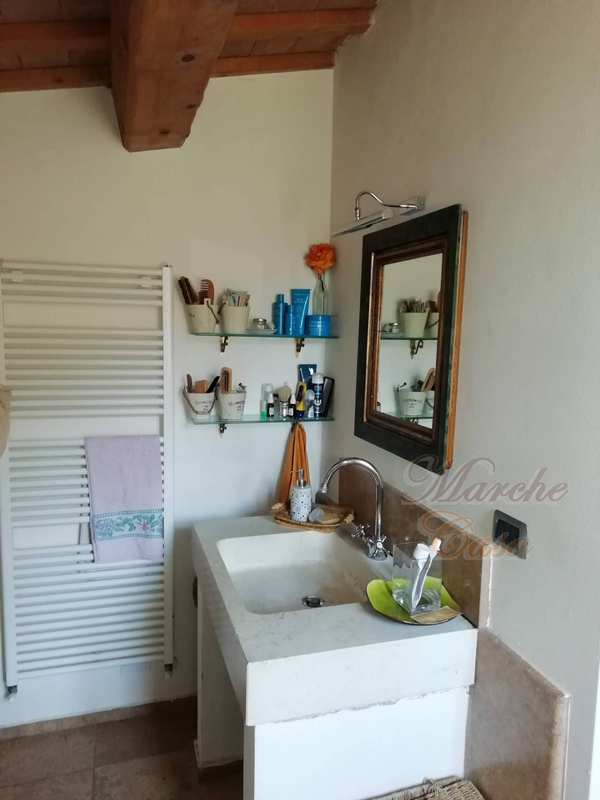 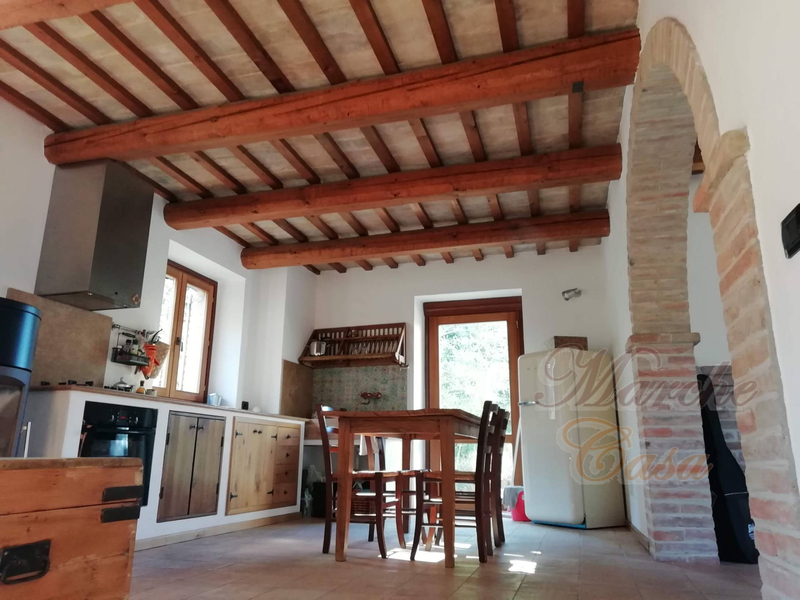 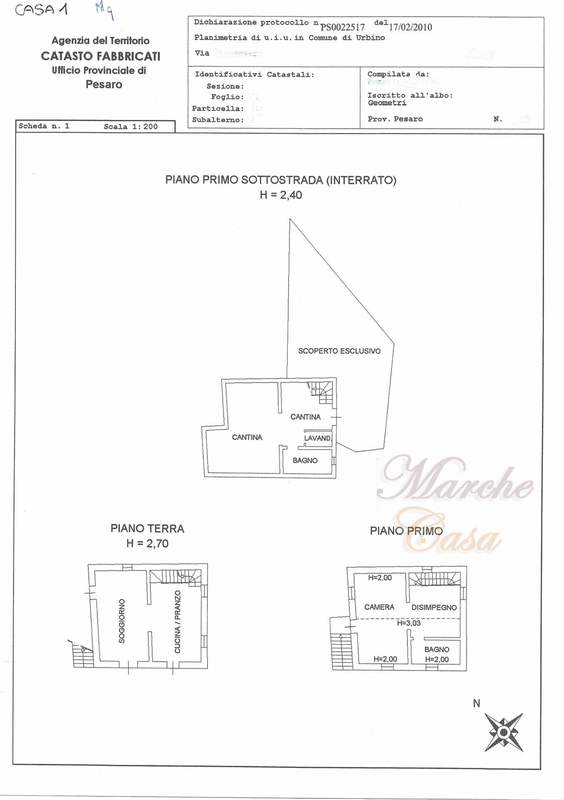 1 independent farmhouse of 180sqm completely in bricks, a country house of 340sqm divided into two apartments and an annex of 70sqm, all completely new, recently built with the best materials and modern technologies. 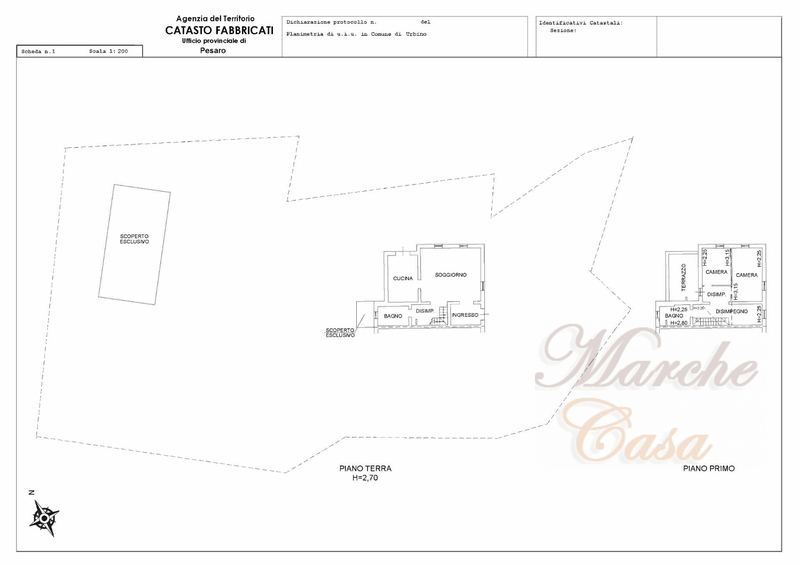 All 4 houses are very solid, earthquake-proof, insulated on each side and finished with quality materials and taste. 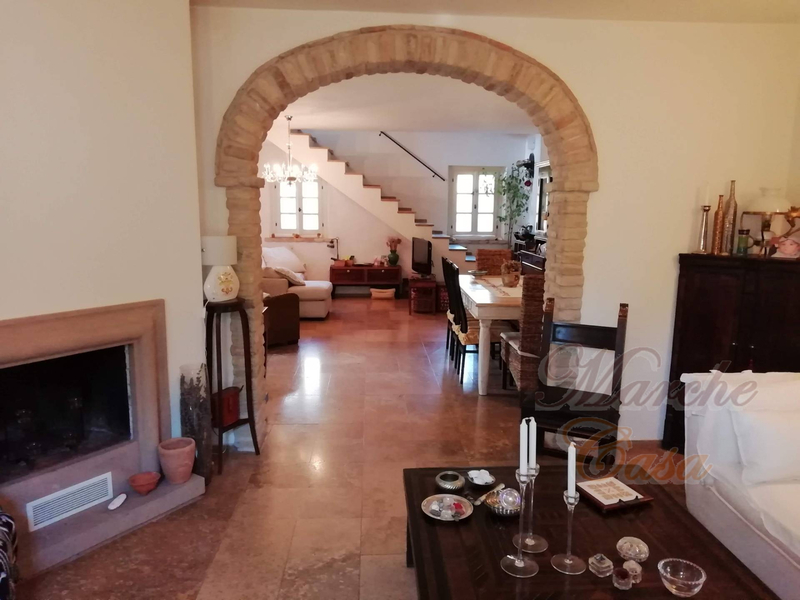 Underfloor heating, triple glazing, wooden shutters and windows, solid wood doors, ceilings with tiles and exposed beams, parquet, marble ... large living rooms with open kitchens, fireplaces, brick arches, large and bright rooms balconies .... 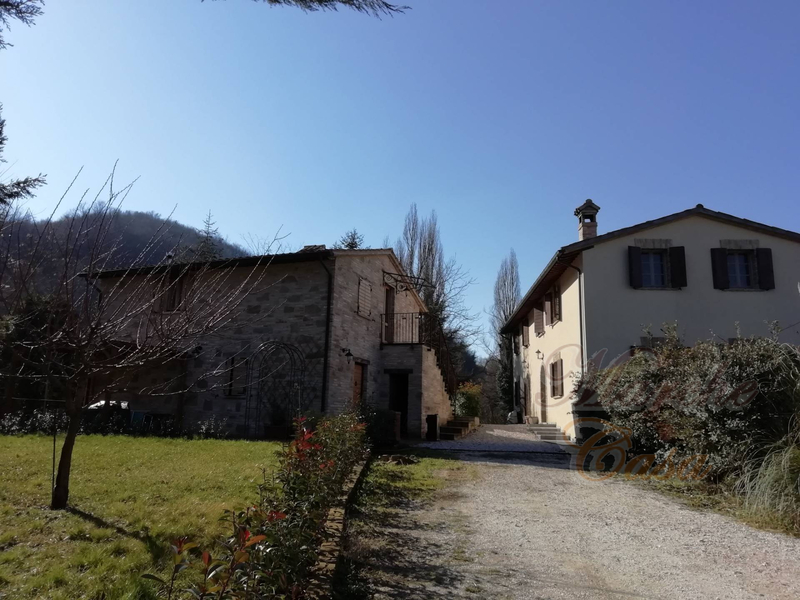 I could go on and the photos believe me they make only partial justice to these houses that even if completely independent with their verandas and the garden they are part of a single homogeneous property. 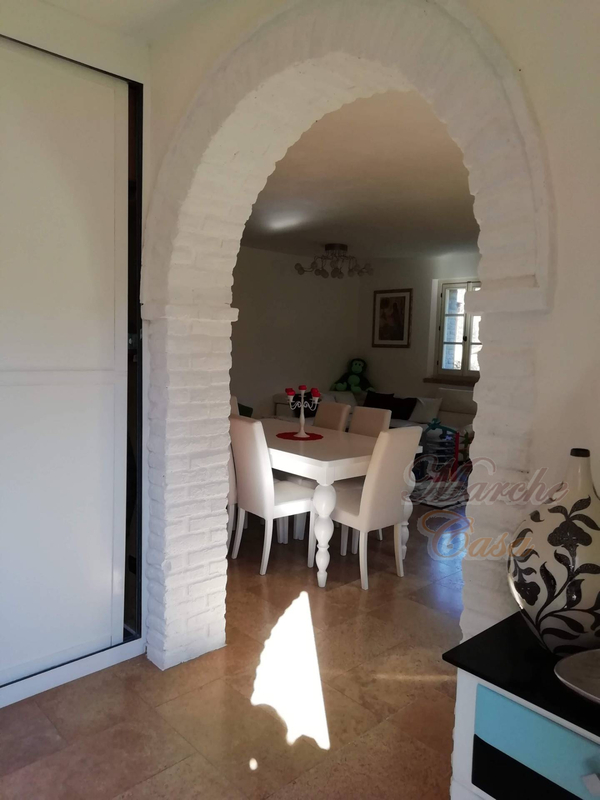 They can, therefore, be used by a large family or they would be perfect for starting a seasonal rental business. 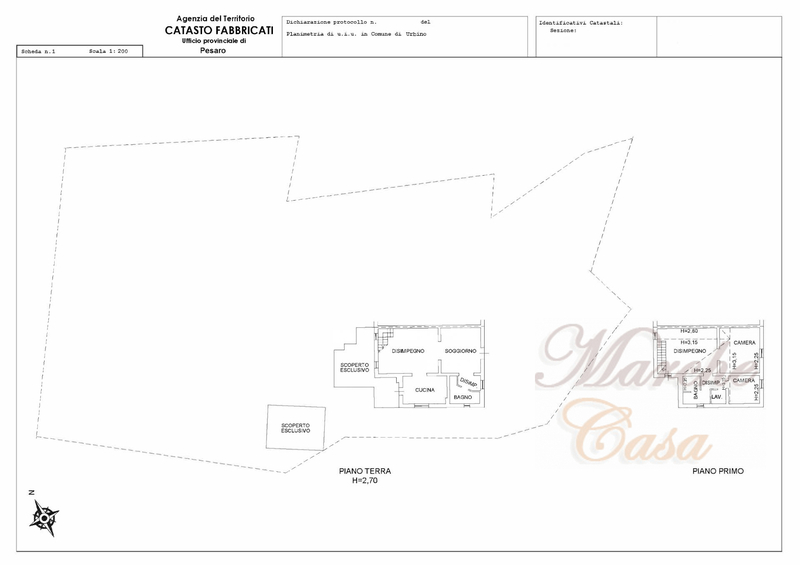 You could rent one, two or all of the property immediately and earn a great extra income. 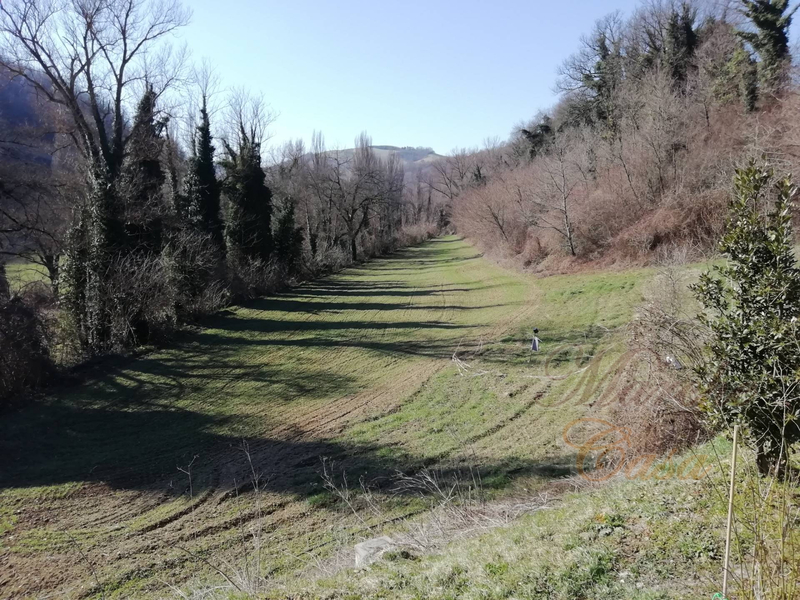 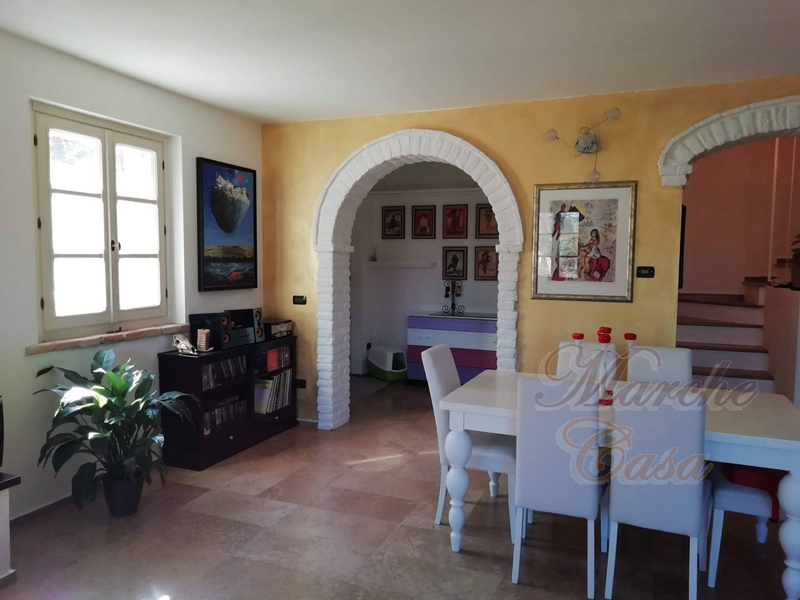 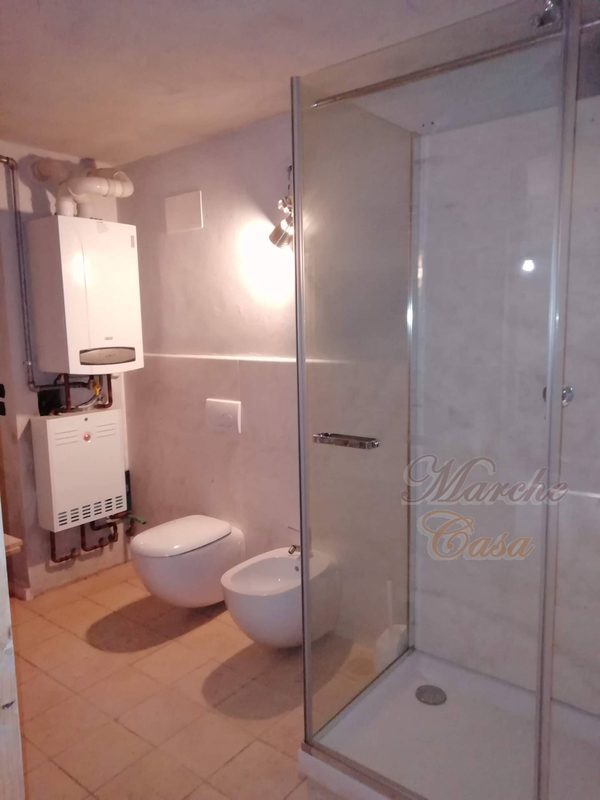 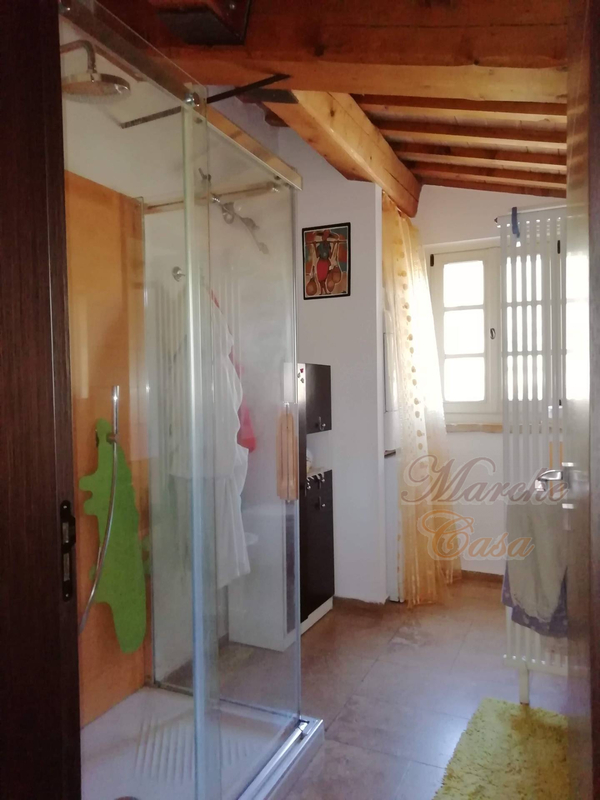 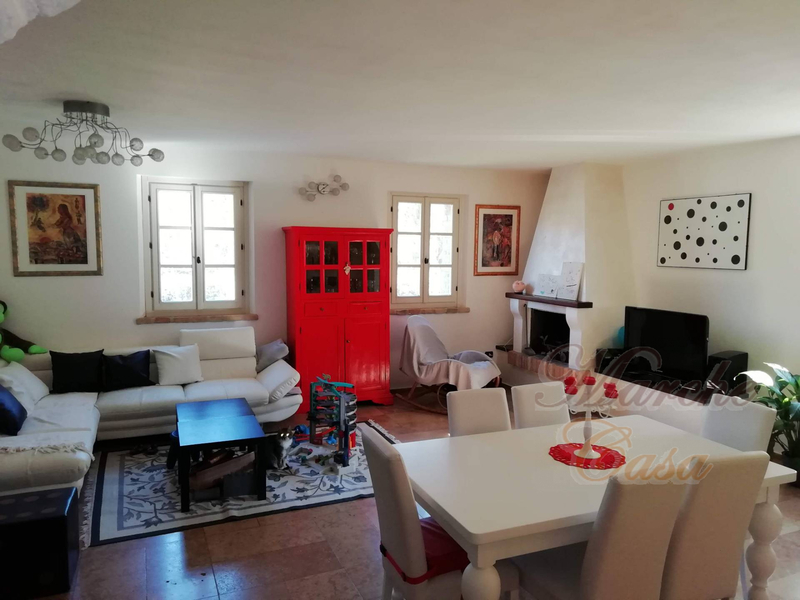 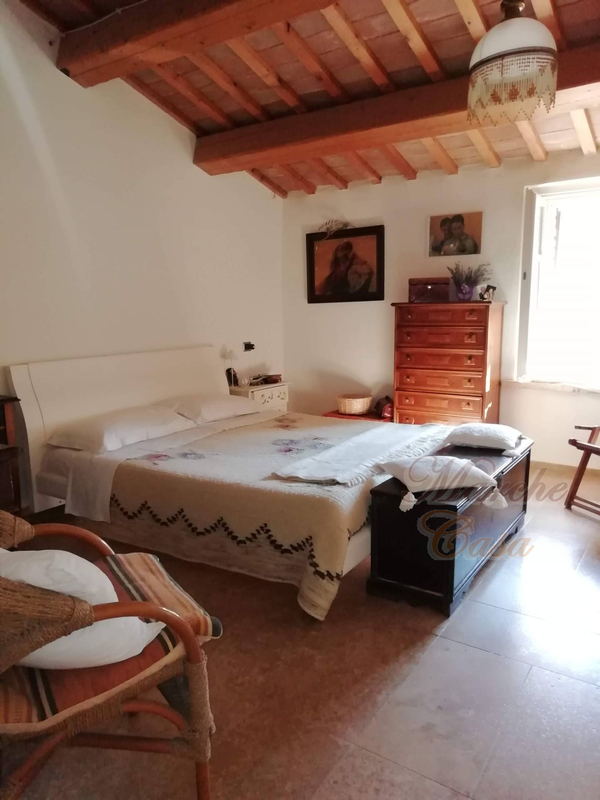 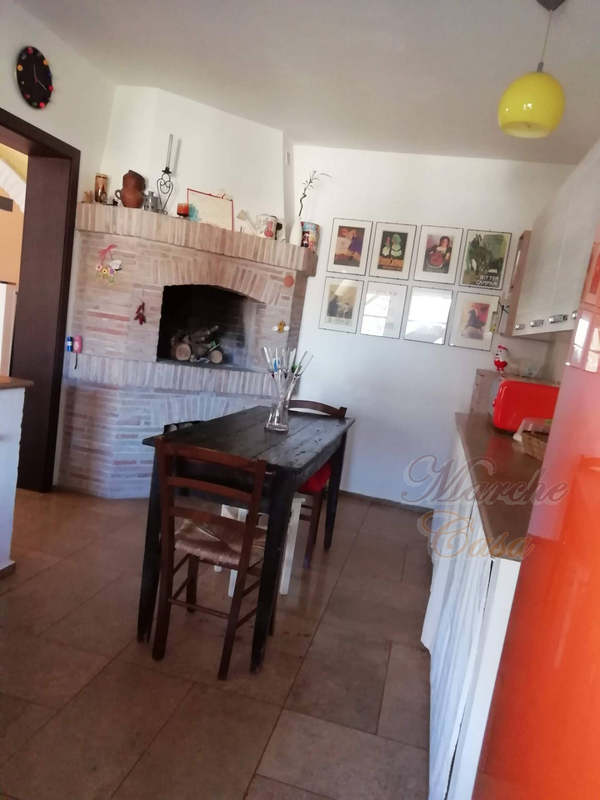 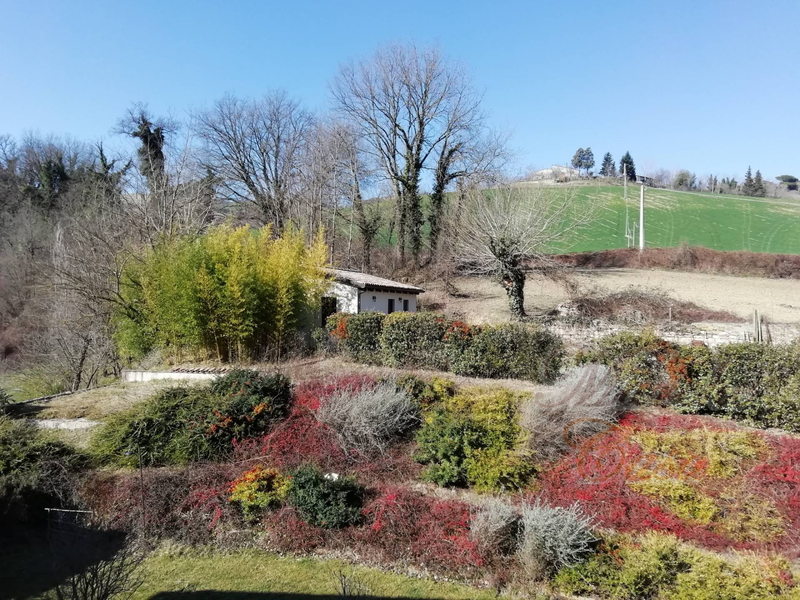 Furthermore, this house is located in a strategic central point, one hour from the Pesaro or Cattolica sea, and one hour from Rimini or Ancona airport. A couple of hours and you're in Florence, you're a stone's throw from Umbria, and very close to unique naturalistic destinations. 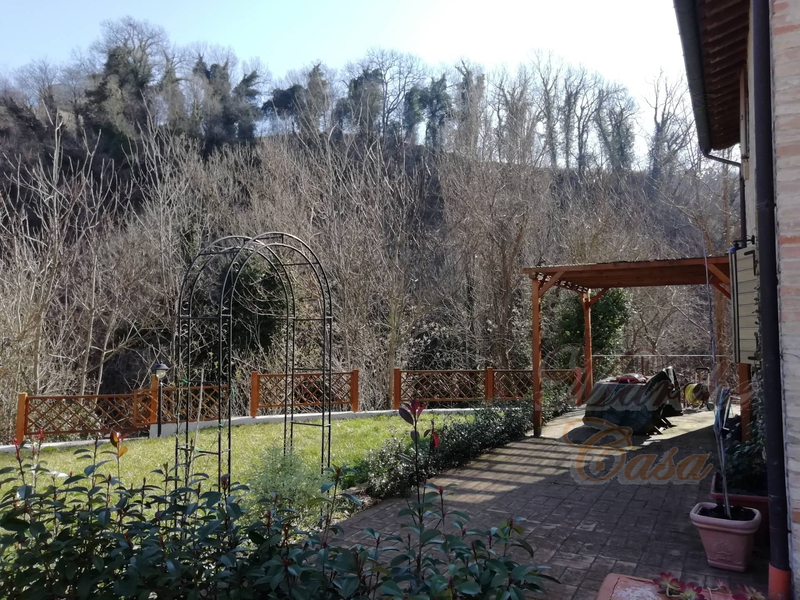 I cannot fail to point out another very special thing about this property, the presence of various wells, one of which is really special because it is salt water. 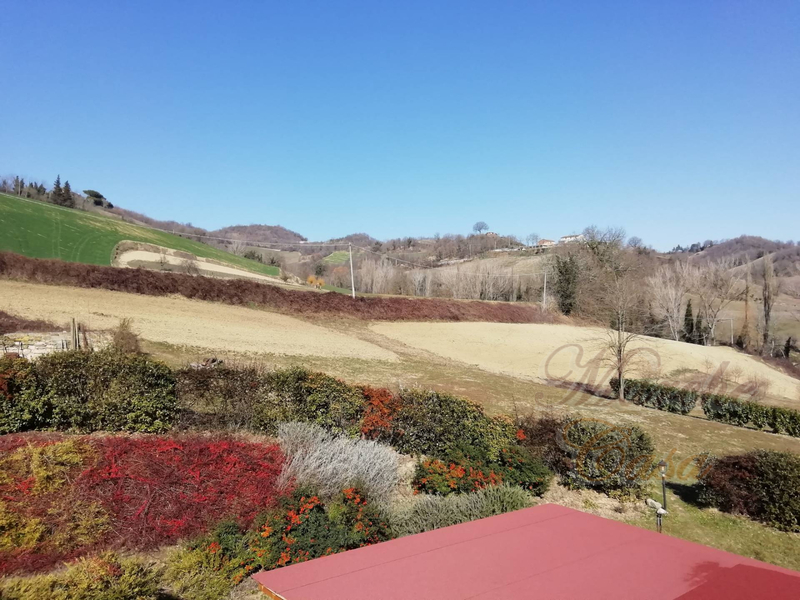 You could have a saltwater pool in Urbino, what a show! 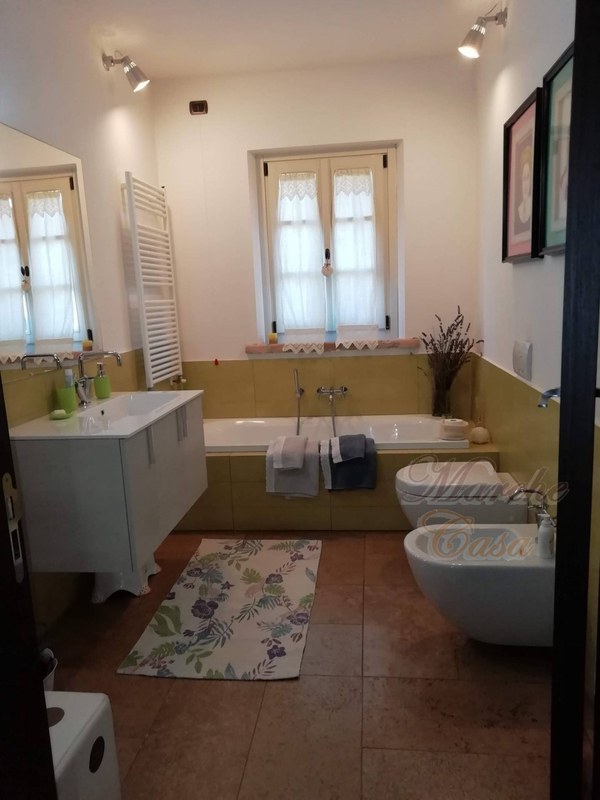 and then you could also use water in a therapeutic way by having a SPA in the house for example. 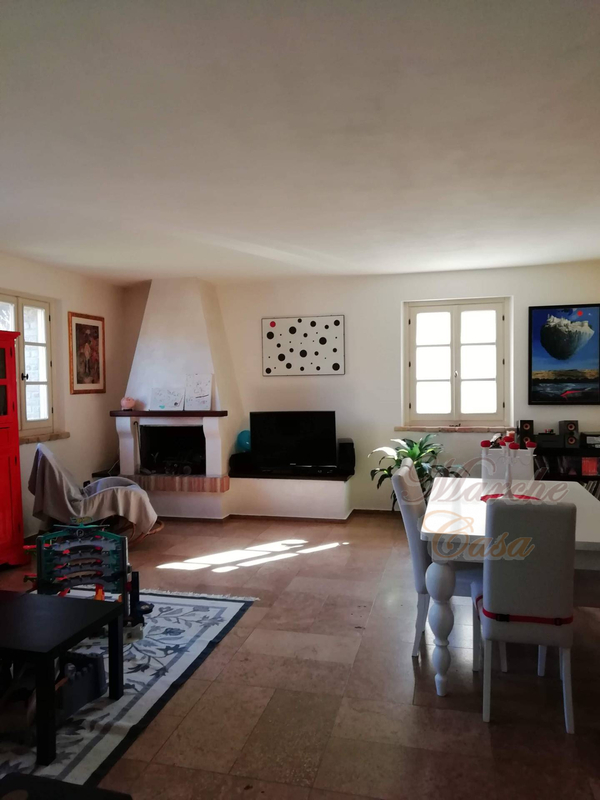 I describe how the 4 properties are divided. 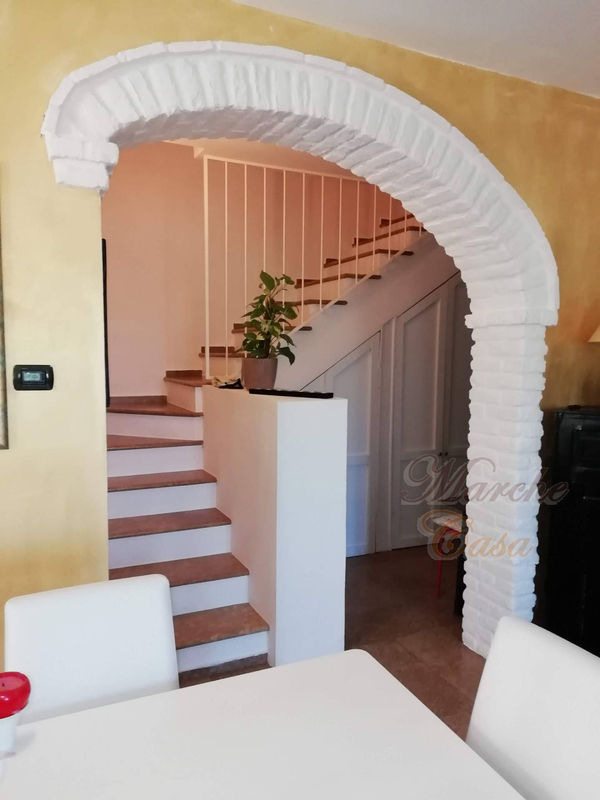 The House 1 is totally independent, measuring about 180 square meters and spread over 3 floors (1 basement and two above ground) The house is in brick and also has an external staircase that makes, if desired, independent even the first floor thus being able to obtain a further apartment. 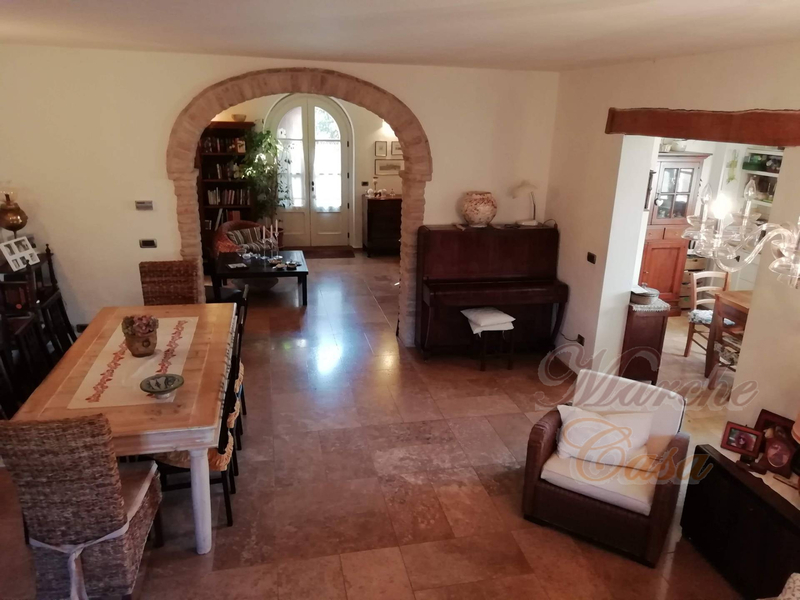 On the ground floor there is a large open-plan living room with kitchen, fireplace and access to a private patio, while going upstairs we find a totally open room which is currently a room with a large bathroom. 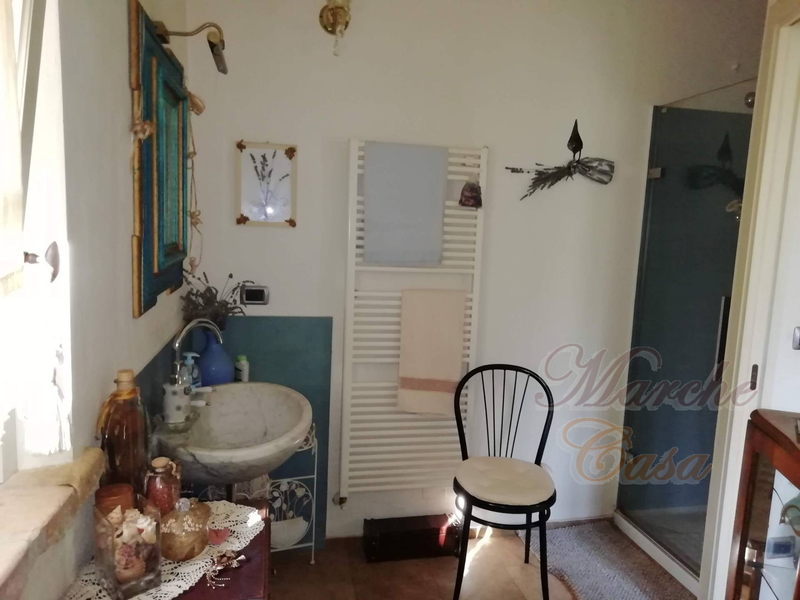 The basement has a wonderful gym and a second bathroom but the space can be used as you wish. 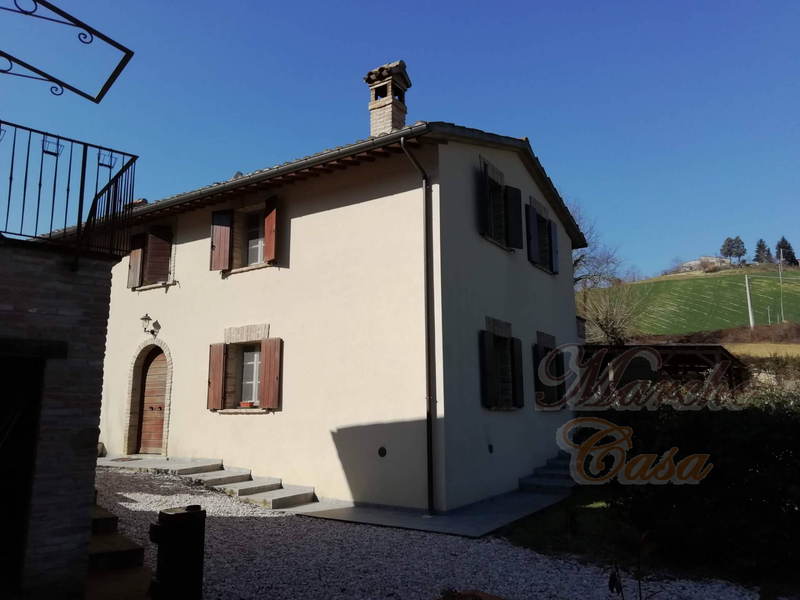 The Casa 2 is one half of the largest farmhouse, measuring about 165 square meters and is on two floors. 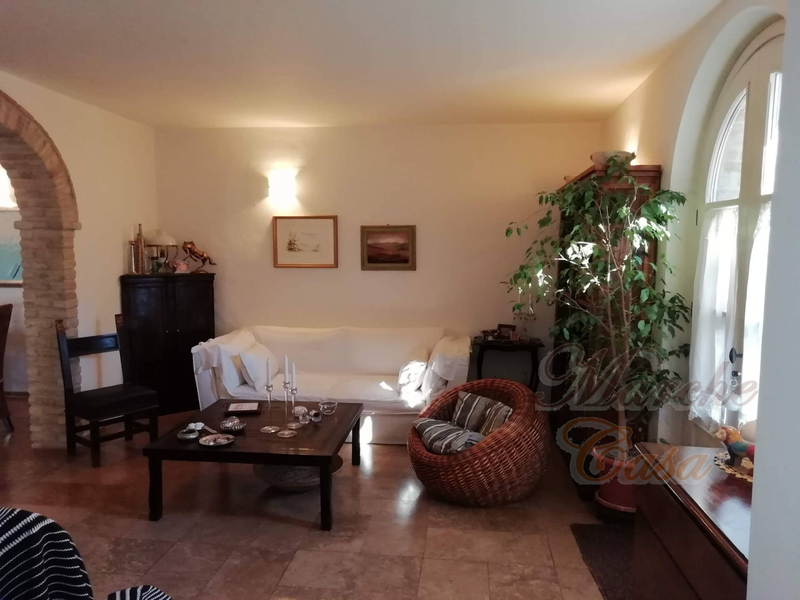 On the ground floor here a large open-plan living room with fireplace and a beautiful kitchen overlooking the garden and the porch, perfect for outdoor dining in summer, on the floor there is also a nice bathroom, going up we find 2 bedrooms and a second bathroom as well as access to a lovely terrace overlooking the property and the view of the hill. 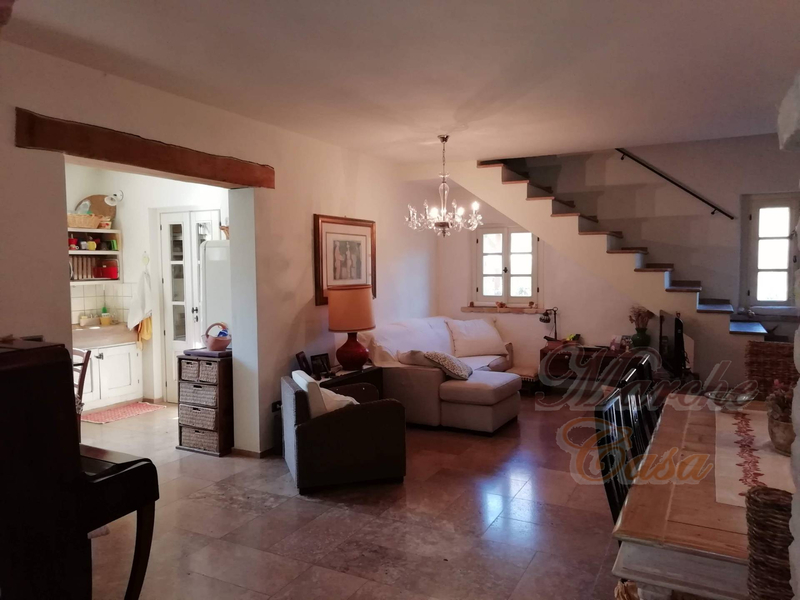 The House 3 is the other half of the house has the same composition of house 2 is only slightly larger, measuring 175sqm, as it has a larger living room. 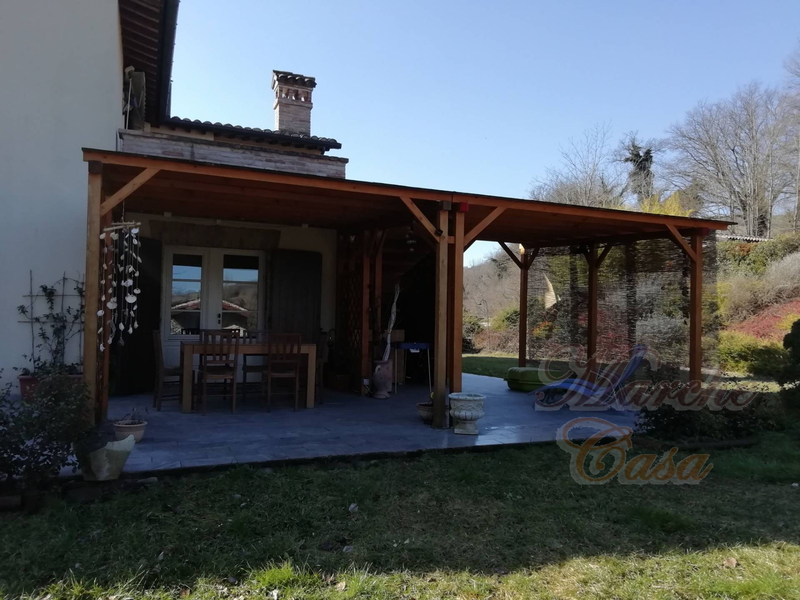 The two houses do not have spaces or facilities in common and enjoy complete privacy for the garden, porch and terraces. 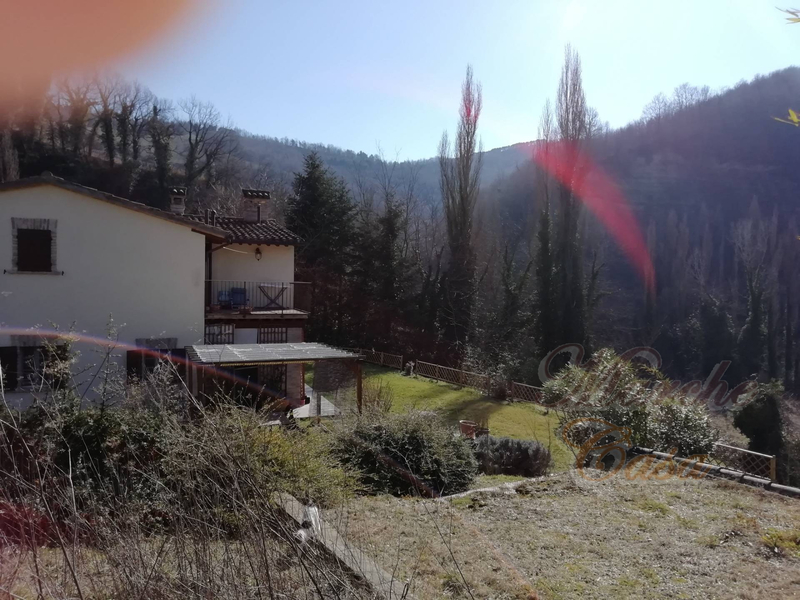 I invite you not to waste time and call me as soon as possible to visit this extraordinary property, truly a unique opportunity.